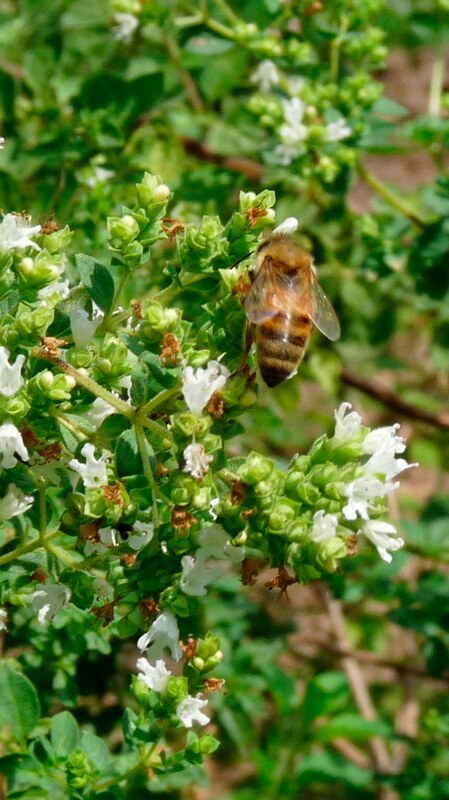 Annisquam Herb Farm: September is National Honey Month . . .
September is National Honey Month . 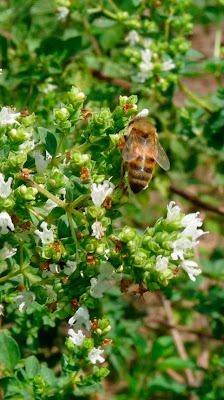 . .
Our bees are still very busy collecting from the goldenrod, oregano and other blossoms. We are hoping they will be successful in putting enough stores by for the winter. We will be attending another workshop this weekend focusing on what to do for the hive to prepare it for the cold weather. The Topsfield Fair will be opening soon. We will be there to ask lots of questions of the beekeeping community. Again . . . we are amateurs being kept by bees! There is so much to learn about these wonderfully industrious pollinators.